Pilots are predefined reference signals that are transmitted to let the receiver estimate the channel. 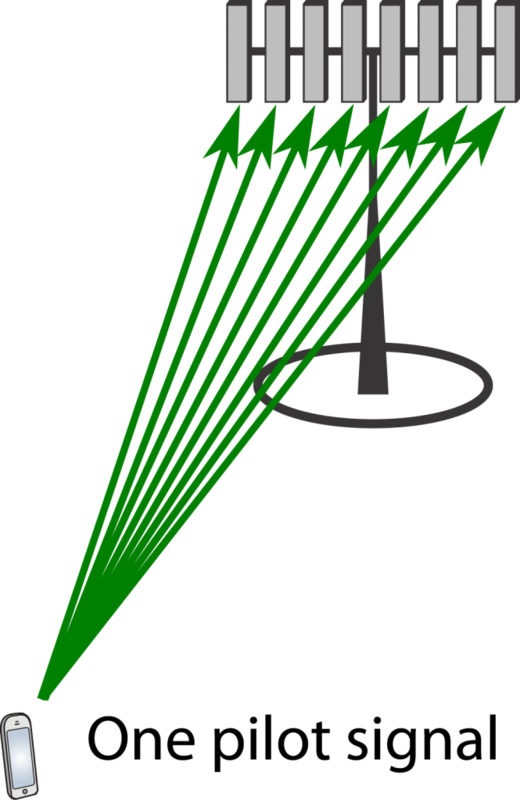 While many communication systems have pilot transmissions in both uplink and downlink, the canonical communication protocol in Massive MIMO only contains uplink pilots. In this blog post, I will explain when downlink pilots are needed and why we can omit them in Massive MIMO. The receiving user does not need to know the full -dimensional vectors and . However, to decode the downlink data in a successful way, it needs to learn the complex scalar channel . The difficulty in learning depends strongly on the mechanism of precoding selection. Two examples are considered below. In this case, the BS tries out a set of different precoding vectors from a codebook (e.g., a grid of beams, as shown to the right) by sending one downlink pilot signal through each one of them. The user measures for each one of them and feeds back the index of the one that maximizes the channel gain . The BS will then transmit data using that precoding vector. During the data transmission, can have any phase, but the user already knows the phase and can compensate for it in the decoding algorithm. If multiple users are spatially multiplexed in the downlink, the BS might use another precoding vector than the one selected by the user. For example, regularized zero-forcing might be used to suppress interference. In that case, the magnitude of the channel changes, but the phase remains the same. If phase-shift keying (PSK) is used for communication, such that no information is encoded in the signal amplitude, no estimation of is needed for decoding (but it can help to reduce the error probability). If quadrature amplitude modulation (QAM) is used instead, the user needs to learn also to decode the data. The unknown magnitude can be estimated blindly based on the received signals. Hence, no further pilot transmission is needed. which is a positive scalar. Hence, the user only needs to learn the magnitude of because the phase is always zero. Estimation of can be implemented without downlink pilots, either by relying on channel hardening or by blind estimation based on the received signals. 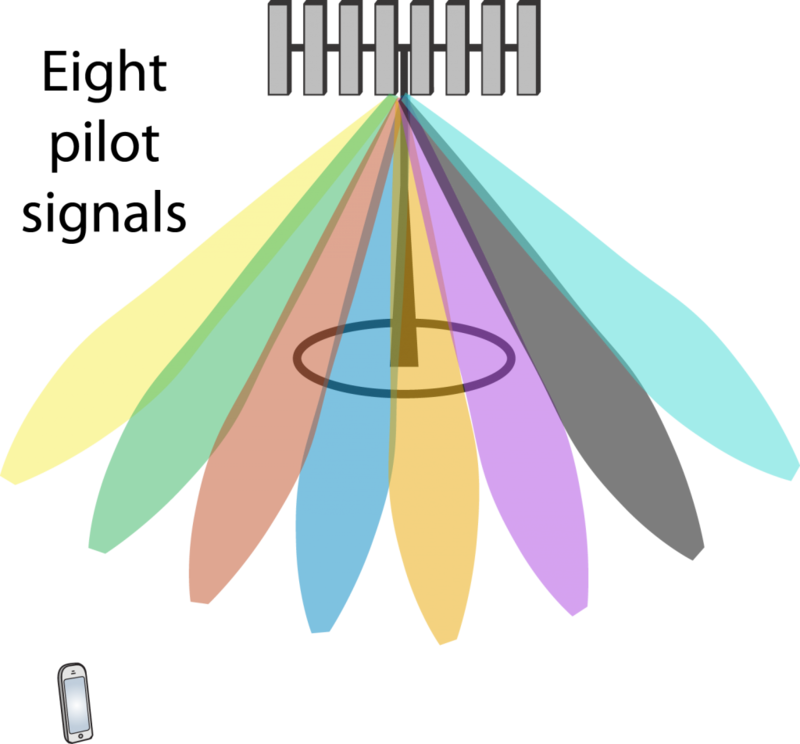 The former only works well in Massive MIMO with very many antennas, while the latter can be done in any system (including codebook-based precoding). We generally need to compensate for the channel’s phase-shift at some place in a wireless system. In codebook-based precoding, the compensation is done at the user-side, based on the received signals from the downlink pilots. This is the main approach in 4G systems, which is why downlink pilots are so commonly used. In contrast, when using reciprocity-based precoding, the phase-shifts are compensated for at the BS-side using the uplink pilots. In either case, explicit pilot signals are only needed in one direction: uplink or downlink. If the estimation is imperfect, there will be some remaining phase ambiguity, which can be estimated blindly since we know that it is small (i.e., of all possible phase-rotations that could have resulted in the received signal, the smallest one is most likely). When we have access to TDD spectrum, we can choose between the two precoding methods mentioned above. The reciprocity-based approach is preferable in terms of less overhead signaling; one pilot per user instead of one per index in the codebook (the codebook size needs to grow with the number of antennas), and no feedback is needed. That is why this approach is taken in the canonical form of Massive MIMO. I was recently interviewed by IEEE Spectrum for the article: The 5G Dilemma: More Base Stations, More Antennas—Less Energy? 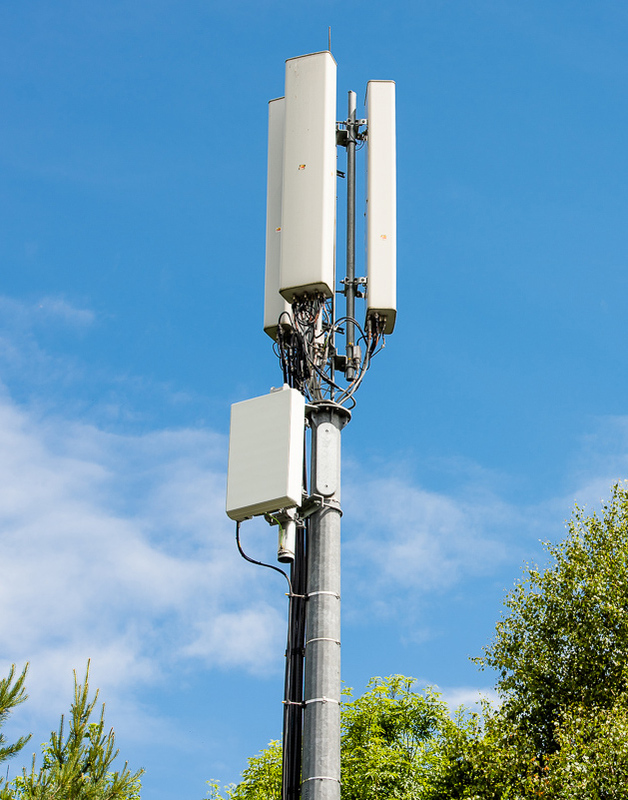 Since 5G is being built in addition to the existing cellular networks, the energy consumption of the cellular network infrastructure as a whole will certainly increase when 5G is introduced. It is too early to say how much the energy consumption will grow, but even if the implementation would be vastly more energy efficient than before, we need to spend more energy to gain more in network capacity. It is important to keep in mind that having a high energy consumption is not necessarily a problem. The real issue is that the power plants that power the cellular networks are mainly extracting energy from non-renewable sources that have a negative impact on the environment. It is the same issue that electric cars have – these are only environmentally friendly if they are charged with energy from environmentally friendly power plants. Hence, we need to keep the energy consumption of cellular networks down until cleaner power plants are widely used.